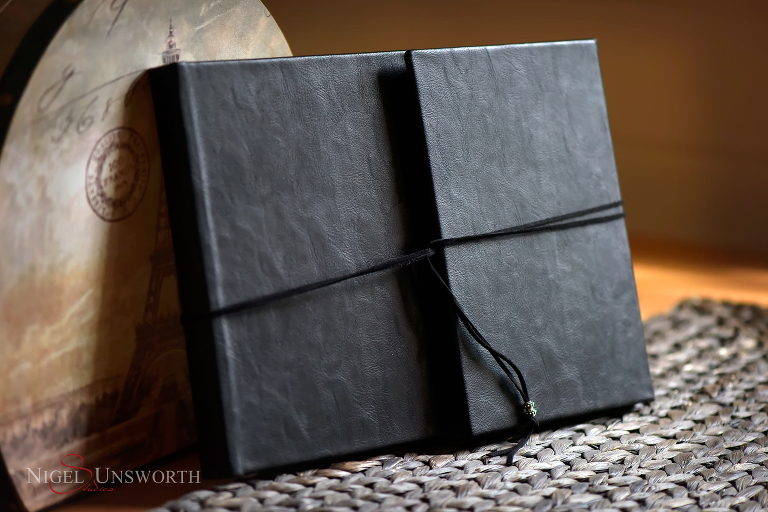 l will be introducing Queensberry’s Q Books – Nigel Unsworth Studios to my range of albums I offer clients. Below is the first sample and I am currently designing another display album showcasing a recent wedding I photographed at Milton Park in Bowral. Queensberry Q Books are premium quality art books with gorgeous features and accessories in with either light-weight perfect-bound (170gsm apx) or medium-weight lay-flat (250gsm apx) pages. The books include Pearl, Nettuno and Tintoretto art papers, or Satin for both light-weight and medium-weight Q Books. Kodak Endura Lustre photo grade paper (like photographic paper) is available for light-weight Q Books only. Q Books are available in any of Queensberry’s cover materials including our fine Leathers, Silks and Buckrams. Choose from Plain, Photo Front, Embossed, or Designable cover styles. Wrap-around covers are also available like the example below. Photo Front covers are available as either half or full photo covers. Emboss names or text in a choice of two standard fonts – Futura or Bank Gothic. 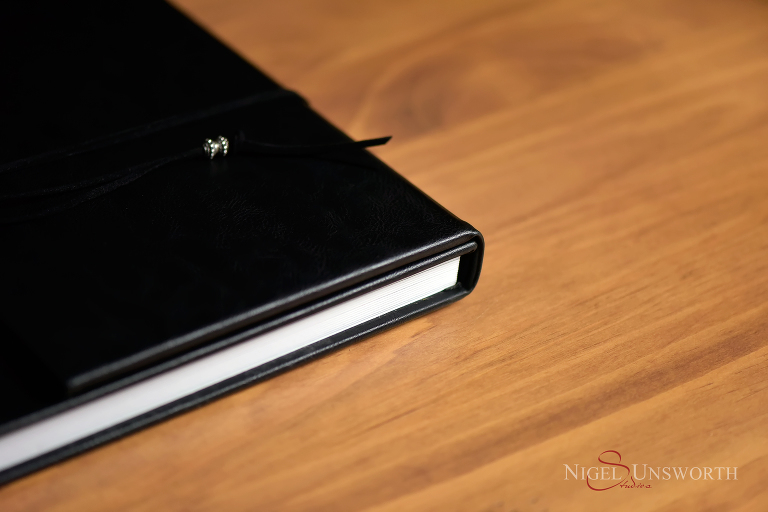 This sample Q Book has a wrap around cover in black distressed faux leather. Images are print on Tintoretto art paper.